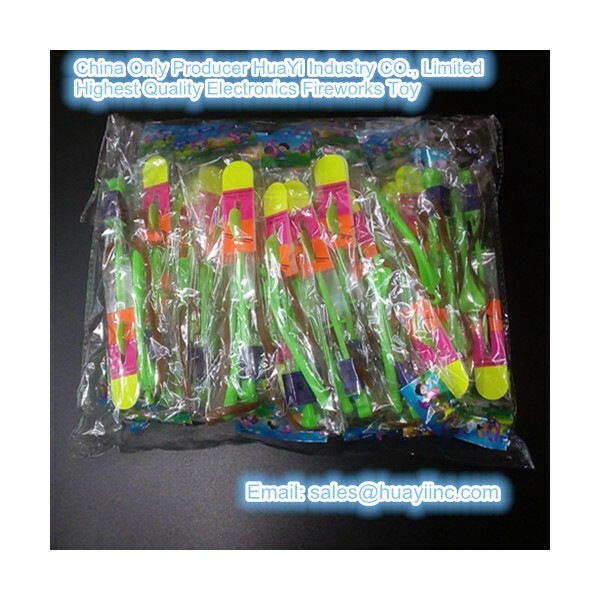 Wings imprinted with: "fold here", "hello"& "fold here", logo imprinted on wings could be personalized, wings are all quality wings with different designs. 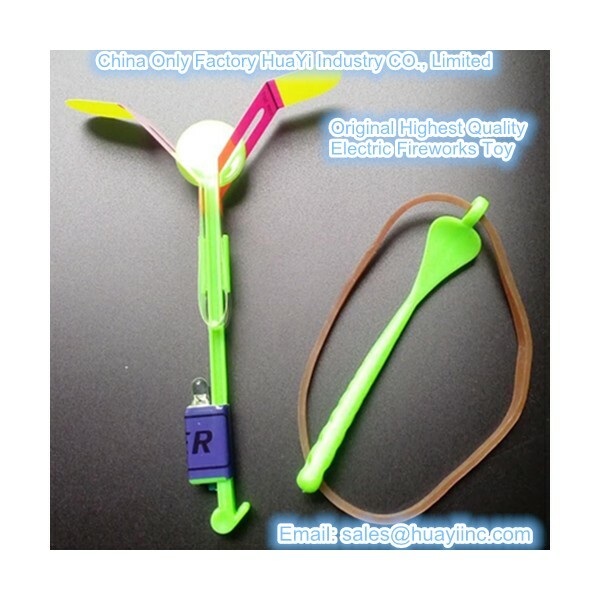 China Only Factory HuaYi Industry CO., Limited offer wholesale and bulk production include customization with customers' information on toy and package. 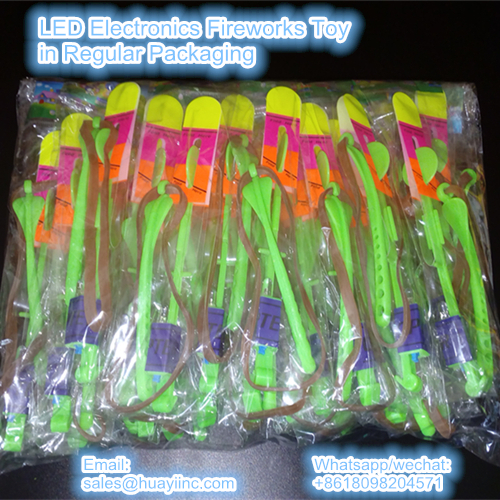 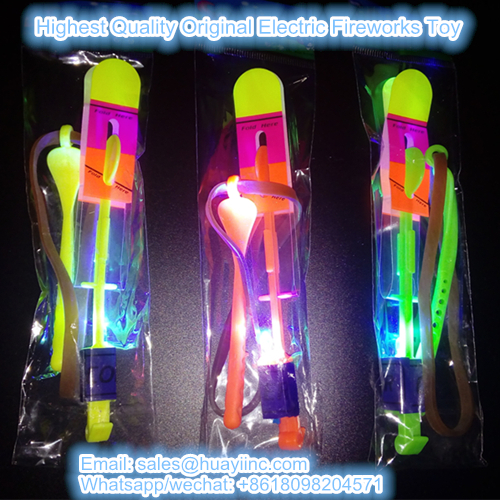 Highest quality 250 feet high flying original LED electric electronic fireworks toy of its kind.